& want to live learning from it. Who would be there to nurture &water And witness their beauty. Trees need us and we need them. There is synergy dancing between us. As we care to nourish the nature around us. We are nourished back by nature. And live sharing of themselves. as much as they nourish us with their bearings. The value in the interdependence. We are because they are! Categories: art, awareness, Creativity, Dancing, Empowerment, Environment, Health, hope, humanity, Inspiration, life, life education, Love, Metaphysical, motivational, Nature, Peace, Poetry, Social, wellness, Writing | Tags: # appreciation #nature, # artistry#Beyond, # artistry#creativity, # Compassion # Empathy Motivational writing #Health, # Gratitude #Contentment, # humanity #gratitude # goodwill, # poem # verses #joy, #Abundance #awareness, #Appreciation # Gratitude #Contentment, #art #poetry #wordpressbloggers, #conscious connects #awareness #circle of life # circle of being #artheals, #creation #divinity #wonder #artwork #poetry, #EnvironmentalAwareness, #Flow #universaloneness, #freespirits #evolve, #healing#balance#faith#life#peace#clarity, #humanity #gratitude # goodwill #hope, #interconnects#Mothers nature #poetry, #nature #irrefutable complexity # purpose # paradox of simplicity, #nurture, #poetry #nature writing #verses #infinity #sense of wonder#beauty, Appreciation Interdependence., art, Caring, Consciousness | Permalink. Itself in the voyages of time. It’s potential purpose as an entity. The soul lives on in spirit. As the being, moves in its tuning. Of balancing witness and action. Sensing the truth of its own being. Some believe the Soul carves its shape in every craving. While fulfilling its desires unfulfilled. Moving beyond reason and all morality. Of infinite awakenings in sublime consciousness. Categories: awareness, Creativity, hope, Inspiration, life, Life and Living, Love, Metaphysical, motivational, Nature, Peace, Poetry, Social, Travel, wellness, Writing | Tags: # appreciation #nature, # artistry#Beyond, # artistry#creativity, # poem # verses #joy #beauty#, # Positive Approach # purpose, #Abundance #awareness, #art #poetry #consciousness #wordpressbloggers, #Art #poetry #creativity #poetry #visualverses #artworks #interconnection, #Compassion#Interconnects, #creative writing, #evolution, #Flow #universaloneness, #freespirits #evolve, #hope #healing#balance#faith#life#peace#clarity, #Infinite consciousness #Abundance #Being # Life # Self belief ##Eternality, #interconnects#Mothers nature #poetry, #subtlety#life#strength#power, Appreciation Interdependence., Consciousness, Energy, Enigma, Heart Consciousness | Permalink. Categories: #micropoetry, Artworks, Creativity, Life and Living, life education, Metaphysical, motivational, Nature, Poetry, Travel, visualverses, wellness, Writing | Tags: # appreciation #nature, # artistry#Beyond, # artistry#creativity, # poem # verses #joy #tetrastich #micropoetry, # Positive Approach # Gratitude, # SavvyArts #Dimensions, # Way of life #Abundance, #art #poetry #consciousness#Living, #evolution, #Fractality#Evolution Enigma#Metaphysics #Subtle Energy, #morningmusings, #Motivational Writing #Life&Living #Poetry, #poetry #nature writing #verses #infinity #sense of wonder#beauty, #poets #creativity, Appreciation Interdependence. | Permalink. I tossed the topic out to my mother who is currently visiting my brother and his family Besides the members of the family , it is home to two cats and a dog as pets. Life is certainly different there for her than with me here . My brother, a passionate animal lover is also an actively involved with Blue Cross of India. Rescue operations happen just about anytime and often at the middle of the night. And some hurt and disabled animals and birds eventually have known to have landed up at home as pets. Nurturing comes naturally to him especially so for those hapless animals and birds . I have personally seen the amount of care and concern he and the volunteers at Blue Cross give without any expectation in return . Just a week back there was an adoption drive for more than a 100 puppies and by the end of the day all the puppies found a home .The contentment in those volunteers hearts must have been uncontained for sure. I am going to share my mothers perspective from such a backdrop… on Parenting and Nurturing . Parenting and nurturing go hand in hand. Parenting needs more sternness while nurturing needs compassion and kindness. Parent is a nature given blessed title and parenting is bliss and pain with growing responsibilities. Whereas nurturing is the quality any one can develop on any living being. A plant well nurtured grows well. With kindness , compassion and love flowing from the heart one can nurture a plant to blossom into fruits, an animal in a healthy surrounding, helpless children and seniors to thrive in a dignified way . Parenting is our duty towards our children . Nurturing them comes naturally. Parenting involves providing, caring, shaping their future with lot of disciplining. Parenting has a natural tendency to forgive their follies and wrong doings , will find an excuse for their wrong behavior and justify them. Parenting cannot be done without nurturing whereas nurturing doesn’t need to be parenting. The reciprocation of parenting can be seen in the nurturing of parents by the children in their old age. Nurturing can be done in many levels. Physical nurturing is one thing, emotional n psychological nurturing also help a long way in sculpting better human beings. Sometimes mere words of encouragement n appreciation of their deeds become vocal nurturing to perform better. Weaning away the weeds is also a part of good nurturing. Nurturing can be time and place limited without possessiveness. Let going becomes easier whereas the feeling of parenting crosses these lines as the bond is life long till death do them part. The name and nature may vary. But without parenting and nurturing qualities the world will not survive. They help the future generation to grow into better persons. The legacy will continue by all sometime, somewhere. They are the two sides of the same divine coin. Good parenting makes better human beings, good nurturing creates a better society and a better world. Both will make the world smile. What you nurture is important especially in your own nature. Categories: art, Health, hope, life, Life and Living, life education, Love, Metaphysical, motivational, Nature, wellness, Writing | Tags: # appreciation #nature, # creativity# expression, # Gratitude #Contentment, # love #humanity #gratitude # goodwill #hope, #Abundance #awareness, #Compassion#Interconnects, #Liife and Living, #Love #Respect, #nurture, #receiving, #wordpress, A way of being., Appreciation Interdependence., Caring, Heart Consciousness, Inspiration, life, Nature, Thoughts | Permalink. Stir swirl and swivel your passionate self. Just dance your heart out! Categories: art, Creativity, Dancing, Health, hope, life, Life and Living, Love, Nature, Poetry, Writing | Tags: # appreciation #nature, # artistry#creativity, # creativity#artist # expression, #Confidence booster, #conscious connects #awareness #circle of life, #Life #Abundance, #Life&Living, #Passion #Art of Movement #Creative Enrichment's, #Power of Dance #Art, #Power of Dance #Art #DanceMusings #passionspeaks, Appreciation # Finding Happiness, Appreciation Interdependence., Arts. Therapy, Behold, Concepts, Connection, conversation, Dance, Dancing, life | Permalink. Parenting: The learnings in the nurturing. Parenting is a long term learning process. With the first born every parent is going through a variety of emotions and various stages of parenting. 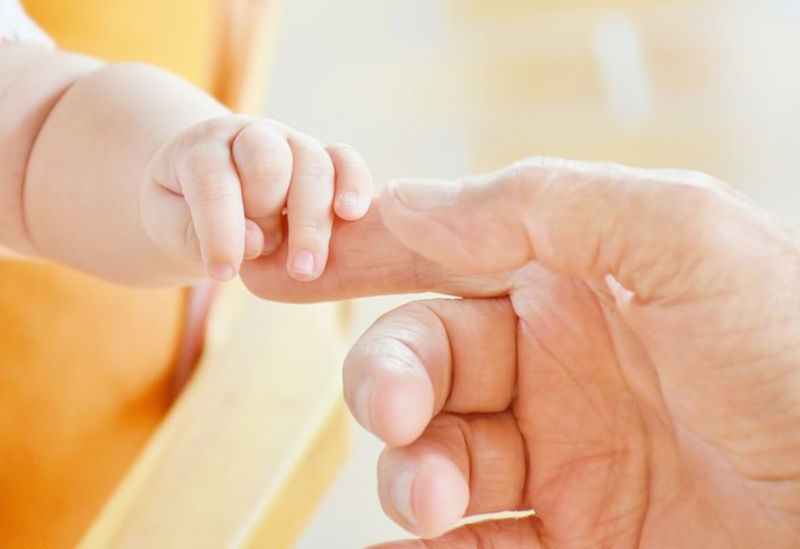 It is true as an infant it is entirely on the parents- be its safety, its cleanliness, understanding its cries for various needs- all done with so much love and care without prior experience. As the child grows so does its mode of expression, tantrums, seeking attention, and the parents learn to cope up with all of it like experts. Cherubic angels with devilish moods. It’s a 24/ 7 job with full focus. The teacher in the child starts teaching valuable lessons, you may have not come across so far in any university. You have to constantly learn new techniques with every child. One lesson will not work with the other as they are different individuals teaching you to handle the same issues with various means. You will be learning new lessons with every stage of their growing up. Infants to toddlers to kids, youngsters to teen agers, Young adults to grown up,men and women, each stage teaches you different lessons. You will be learning new lessons on changing generations, their changing values, how to maintain the balance and be a bridge to keep up the tranquility and peace at home. Though every phase has its testing period, it is challenging period when they are in their teens with their need to balance their inner and outer worlds. Once you cross that successfully you can enjoy a momentary peace till the next one starts. Coping up with the the new relations that springs up in their lives, and the need to understand their changing priorities, to accept gracefully and take the back seat in their life though they remain as ur priority , without regrets. Ability to know the strength of the bond though invisible still remains strong and intact. The list of life lessons the child teaches goes on till the end. That is the way life has to go on. And all the while we pride ourselves as parents and that we teach and guide our children! Who is the real teacher here? These are a few reflections from my mothers perspectives on Parenting. In a nutshell …can think of 5 A’s of Nurturing as parents… but the list never ends . Acknowledge abilities as uniquely significant. Appreciate the good qualities & its application. Allow the potential of personal expression. 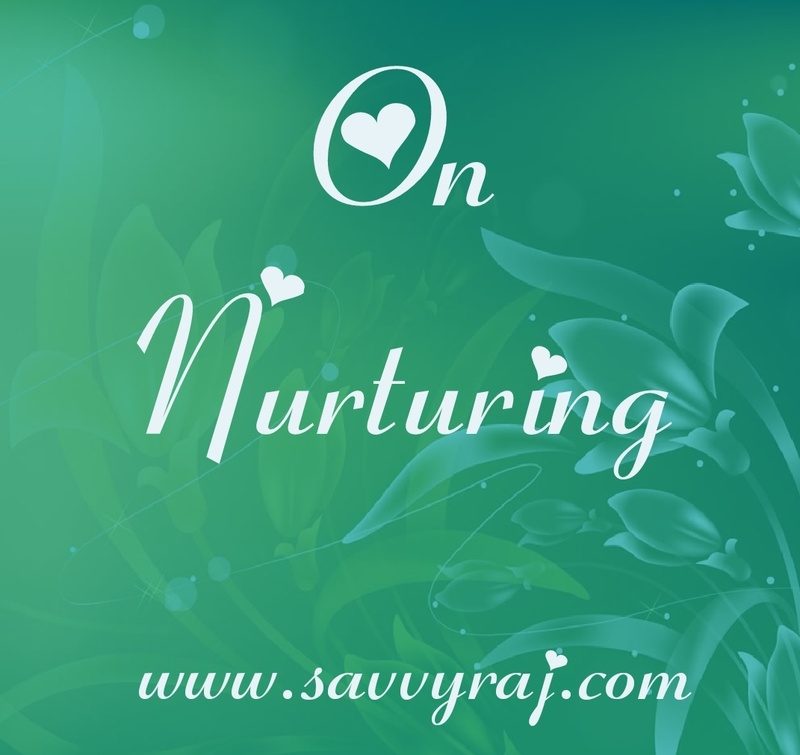 What are your views on Parenting and nurturing? Do share. Categories: hope, life, Life and Living, life education, Love, motivational, Nature, Peace, visualverses, wellness, Writing | Tags: # Positive Approach #, #creative writing, #evolution, #nurture, #wordpress, Appreciation Interdependence., awareness, Environment, faith, humanity, Inspiration, Learning, life, life education, Nature, Personal Development, Positive thoughts, Relationships, Sharing, Thoughts, truth, Writing | Permalink.